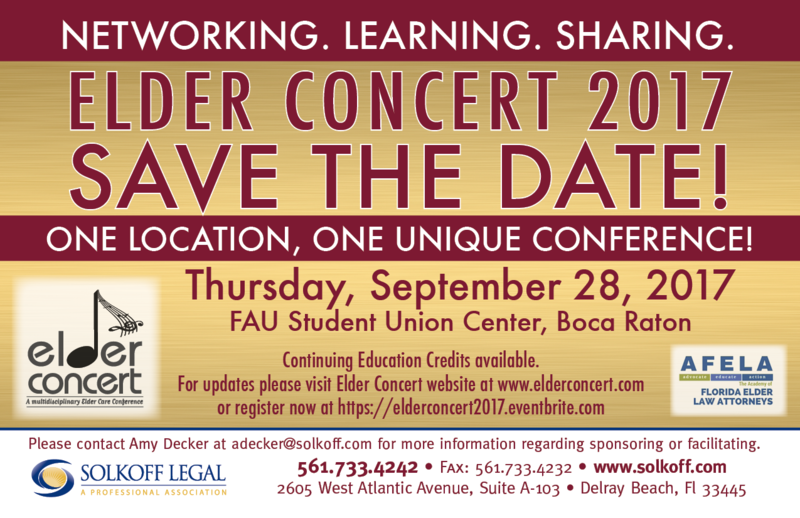 The Elder Concert is a statewide multidisciplinary elder care conference. In the 16 years since Elder Concert began its annual program, hundreds of elder care professionals have been able to meet and learn together. Because they come from different elder care disciplines, each attendee rounds out his or her contacts and education. Elder Concert was born from the recognition that each elder care discipline has its own special instruments for bettering the lives of Florida’s elderly and it is getting these instruments to play well together that creates great results.